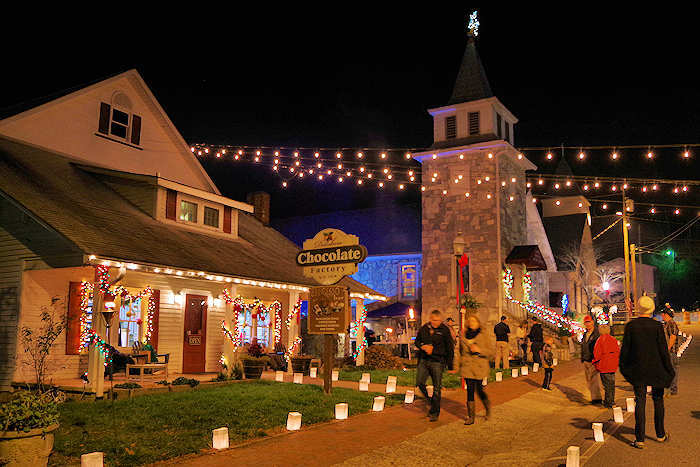 The Dillsboro Festival of Lights & Luminaries illuminates this artsy mountain village the first two weekends in December. 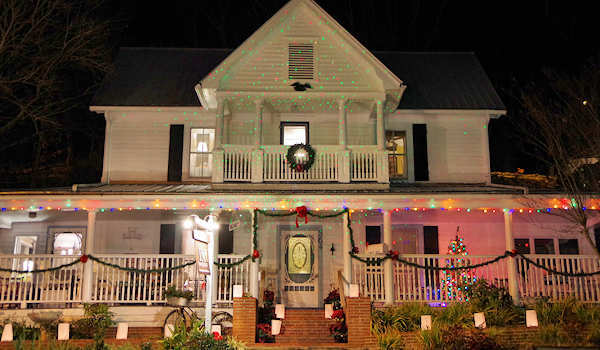 In an era of electronic gadgetry and LED lights, Dillsboro’s celebration is a throwback. Adapted from a Scandinavian custom of lighting the way for the Christ child, more than 2,500 candles in white bags line the streets with more than a dozen shops (mostly galleries and artist studios) to explore. 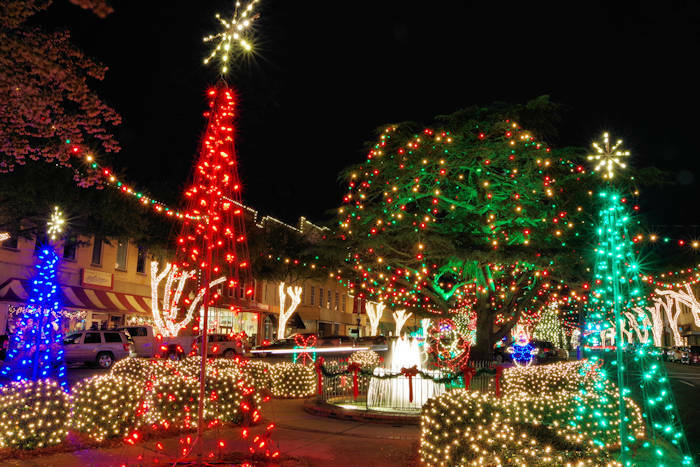 In addition to the luminaries, the town’s merchant “elves” trim their buildings – many of which date to the late 1800s – in traditional white lights. Shopkeepers also stay open late and serve coffee, warm cider, hot chocolate and homemade goodies to visitors. 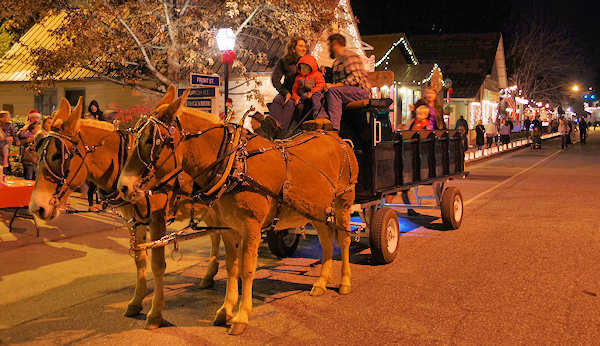 There will be sing-alongs throughout town, horse-drawn wagon rides, WCU students strolling the streets in renaissance costumes, children’s art in the courtyard, plus Santa and Mrs. Claus setting up shop in Town Hall. Stop by the church to see a live nativity. 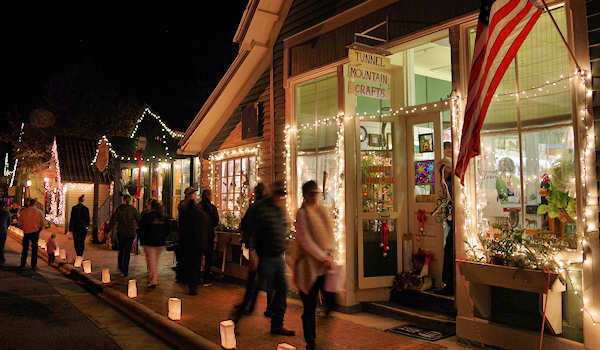 The Festival of Lights & Luminaries begins each evening at dusk and runs until 9 PM. There is no admission charge. Come early to explore downtown Sylva also, just three miles away. 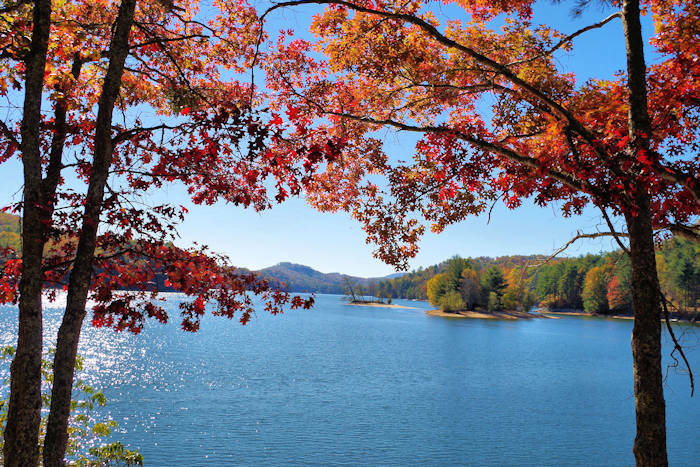 For more things to do, see our Dillsboro Guide. Dillsboro is located on the Tuckasegee River near Sylva at the crossroads of U.S. Hwy. 23/74 and U.S. Hwy 441 in Jackson County. The town is less than an hour west of Asheville (52 miles). 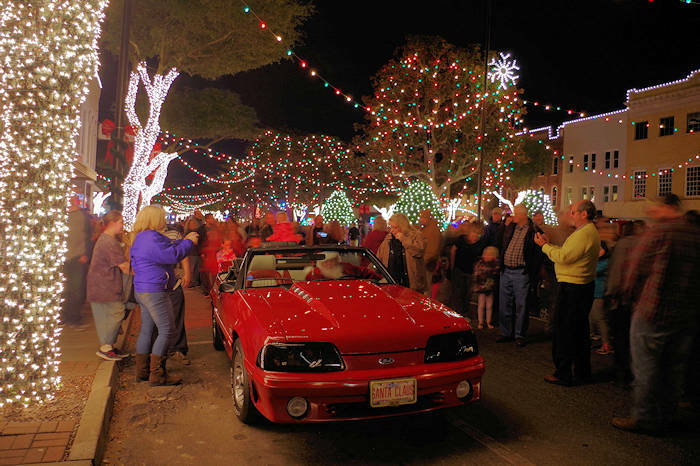 See more Holiday Outings and Events.